If you have never heard of Nutella, I believe you have been living under a rock for some time now. 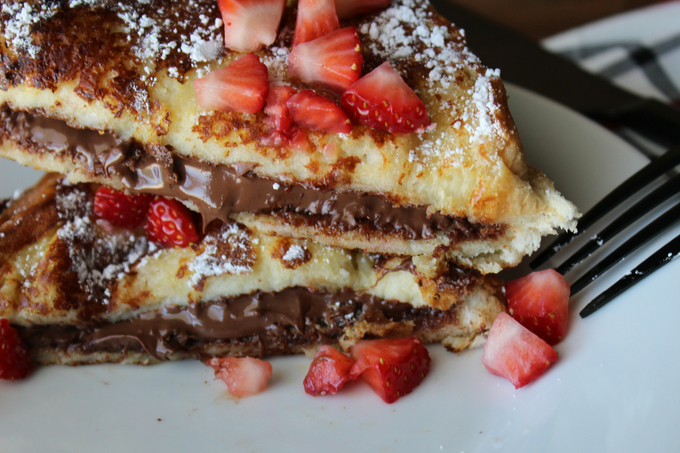 And this world has Nutella. Nutella is a chocolate and hazelnut spread that is most often used on toast or as a fruit dip. 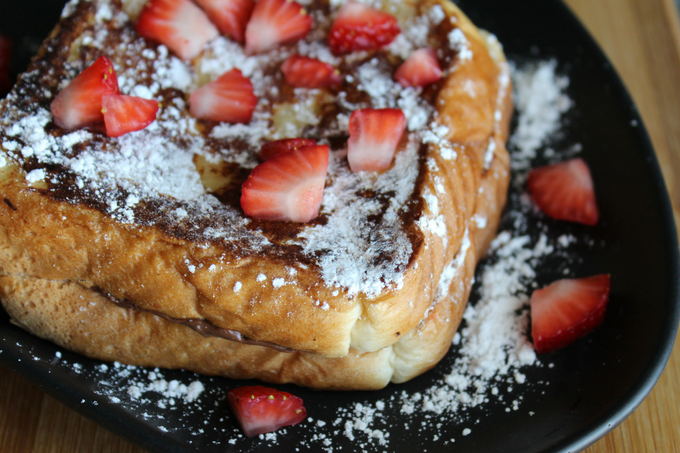 Sweet and delicious, it becomes the perfect filling for stuffed french toast. Crispy and toasted outside, surrounding a luscious layer of chocolate hazelnut goodness! 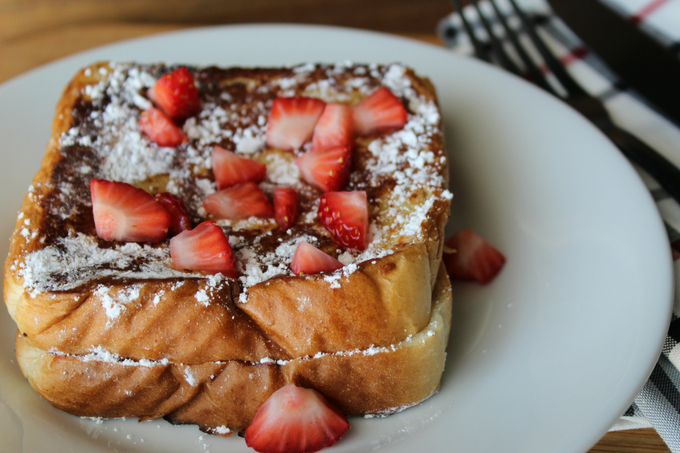 Like any French toast, this is best served fresh and warm straight from the skillet. 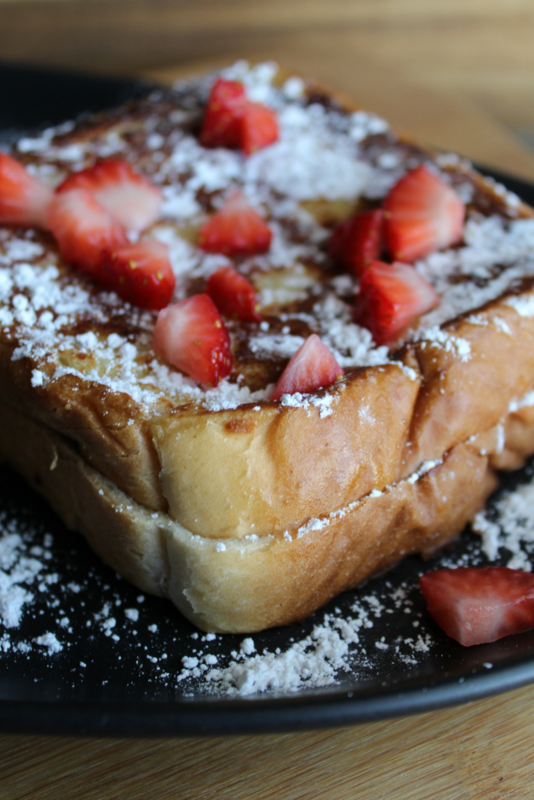 Topped with a dusting of powdered sugar and fresh cut strawberries. A show stopping recipe for a special brunch with friends or enjoyed as a simple breakfast in bed. In a shallow dish; combine the egg yolk, half and half, and vanilla. 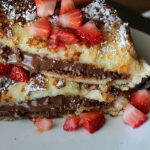 Spread 1-2 tablespoons of Nutella on 4 slices of bread (all the way to the edge). Place other 4 slices on top to form a sandwich. Heat a large skillet over medium to medium high heat. Add a tablespoon (or so) of butter to heated skillet. Once butter is melted, dip each sandwich into egg mixture. And place sandwich into skillet. 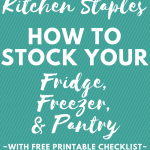 Cook for about 4-6 minutes per side, or until golden browned on both sides of sandwich. 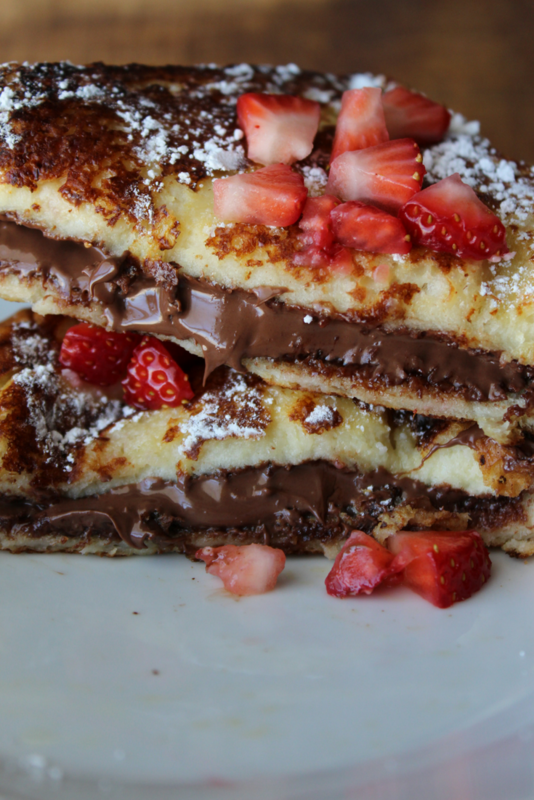 Serve Nutella Stuffed French Toast warm and topped with a sprinkling of powdered sugar and fresh chopped strawberries.